Building your Real Estate Office online is not a separate endeavor from your physical business office; in fact your Internet presence is your business! So how do you go about attracting Google and Clients to you? right I said Googleâ¦ with 75%+ of all Internet Searches starting on Google you cannot effort to be invisible. How do you build an integrated Web Strategy that serves your Sellers and Buyers and is driven organically by Internet Search? Are you driving Traffic to your website and creating the best exposure for your Listings? How about your Buyers - Are you the Community Expert? How do I use the right Blogging Techniques to help me become Internet Visible? this is the essence of Internet Marketing and Blogging Results. Learn what Google and Search Engines are looking for in Blogs in order to Index them... in fact if you Blog once a week the right way you will be on Page 1 of Google - enough said? Read personal testimonials from Realtors who have attended Key's Training Sessions as well as their Brokers. I invite you to call them and request that they share their personal experiences and results. "Dear Key, I wanted to let you know that your training has impacted my businessâs GOOGLE visibility tremendously. I attended two of your trainings and APPLIED everything you taught with the result that I am now dominating my local area on Google searchesâ¦ Iâm actually taking the first TWO pages.. I have spent the last 2 years in total frustration at HOW TO DO this, and when you came to Franklin, you brought âTHE LIGHT with you! Thanks Key for sharing this knowledge, I look forward to more âskull sessionsâ in the near future.. If you have students âIN DOUBTâ, have them Google: john becker bald head, or Franklin nc real estate .. let the magic begin! Key, I also wanted to thank you for making this training AFFORDABLE to ANYONE who wants to learn this aspect of web marketing. 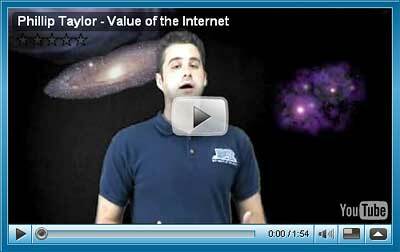 Iâve seen so many other âweb trainersâ who charge astronomical fees with less than satisfactory results." - John Becker / Bald Head - Franklin NC. Attended Real Estate Web and Blogging Strategy Trainings. Real Estate Training Classes, Real Estate Internet Marketing, Real Estate Web Exposure, Real Estate Internet Presence, Real Estate Search Engine Visibility, Real Estate Internet Trainings, Real Estate Google Marketing, Real Estate Web Trainer, Real Estate Blogs. Key Yessaad â Real Estate Trainer & Internet Strategist. To train, inspire, and coach Realtors succeed is my passion and intention. I specialize in training Real Estate Professionals how to compete online by bending Google organically!!! My Trainings and Internet Strategies intersect in my seminars with powerful ideas and Plans of Actions that produce results. Google or call me (910) 538-6610 and letâs discuss how I can help your Agents climb the Google Tree of Success. I can tailor my Real Estate Seminars to the level of sophistication of your agents and I promise they will leave inspired and will produce results!!! Read some of the Realtors Testimonials. Follow me on FaceBook or Twitter.